More of the same yarn but the color's a bit drab. 100% alpaca, much finer, would have to use doubled. Handspun, hand-dyed Shetland, color seems to clash a bit. Now I'm just getting desperate. More handspun that is finer and would probably need to be held doubled. Also the color doesn't work. 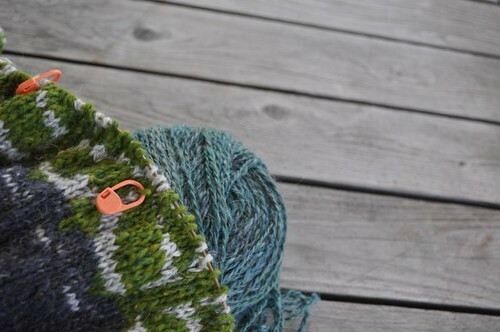 I actually like that last color of homespun. 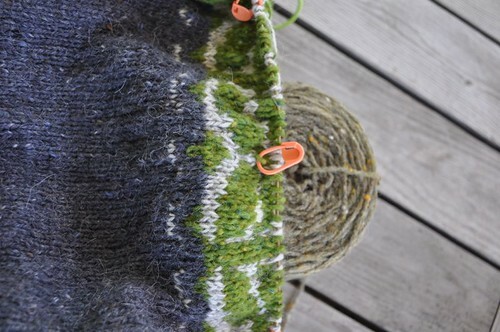 I like the shetland or the alpaca -- it's sad that there's not enough of the current color as it looks great. The alpaca color works the best, on my monitor at any rate. Will you have enough of it, when used double? 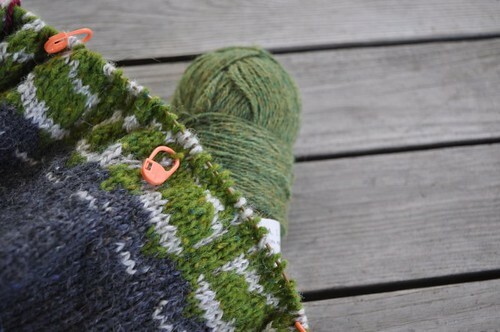 I vote for the safe option, the same yarn in the Drab colourway (picture 1). 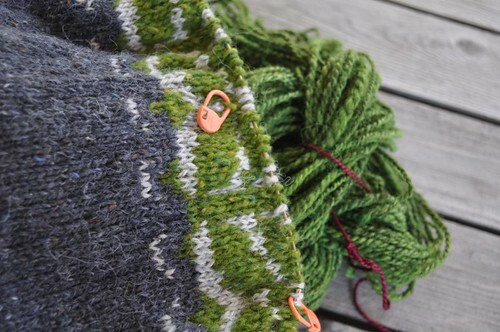 It may look dull skeined up, but the green will make the sweater pop. Good luck, it's a hard call. (Or: rip out the yoke *again*, go the yarn store and buy enough of something else for the yoke, but that's too easy and maybe too costly).